It’s finally started: life is mimicking games. Sports Interactive have become so good at simulating the player-buying behaviour of UK football clubs that those same clubs have begun looking to them for help finding new signings. Premier League teams will now incorporate Football Manager’s biographical, contractual and positional player database into their recruitment process. There’s a piece of software that Premier League clubs rely on. It’s called Prozone Recruiter. Built to complement the intuition of scouts and coaches, it collates performance stats and archived video footage for some 80,000 players. Of course, that’s exactly the sort of thing Sports Interactive have been doing for the past two decades. These days, they gather information from more than 1,300 scouts around the world. And so they’re going to feed the Football Manager database into Prozone. Sports Interactive director Miles Jacobson was predictably chuffed. 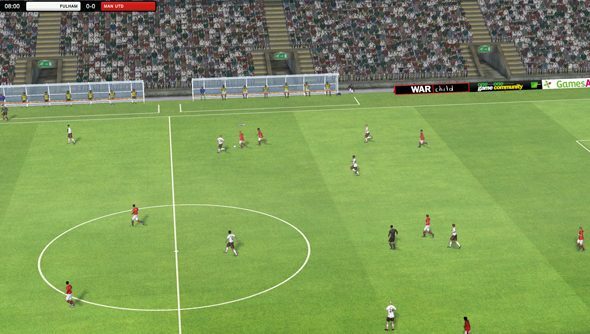 In what ways do you hope to rearrange real-world football for the better come Football Manager 2015’s release?